The Science of Climate Change, among other scientific facts, have suddenly come under tremendous questioning in the recently formed Trump Government in the United States. The situation has reached to such an extent that some States in the US are even considering legislation which would exempt the study of evolution and climate science in classrooms. In response to such regressive actions, 314 Action has emerged as a US based non-profit organization which has garnered national attention for their efforts to recruit scientists to counter the government’s “War on Science.” 314 Action has just launched a national school board elections campaign, Boards Advocating Science In Curricula (BASIC), to elect pro-science school board members as six state legislatures (OK, FL, TX, IN, AL, ID) are considering “academic freedom” legislation that would exempt the study of evolution and climate science in classrooms. Since announcing their candidate-training initiative in January, “STEM the Divide,” more than 4,000 candidates with scientific backgrounds have signed up for training and support on 314action.org. 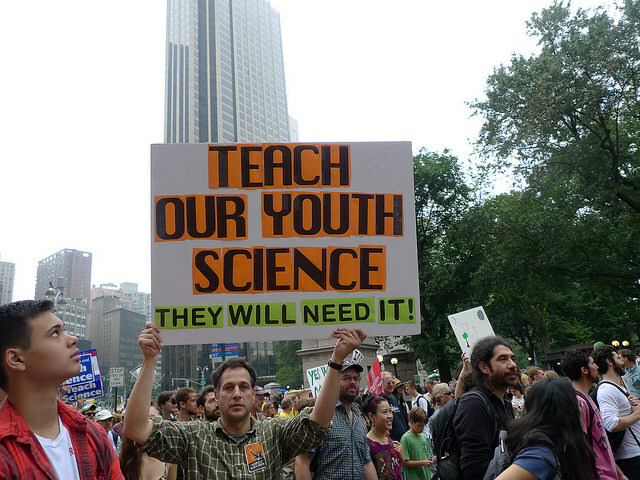 314 Action is concerned that STEM education in the United States is falling and that the US Congress has failed to fully fund scientific research thereby preventing environmental issues like climate change and social problems like gun violence.